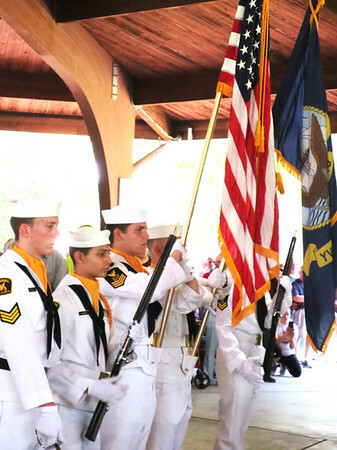 Flags were posted at the Batesville Memorial Day program's 11 a.m. beginning and retired at the end by U.S. Naval Sea Cadet Corps Flying Tigers Squadron members. They are 10-17 and learn about naval life and military training.